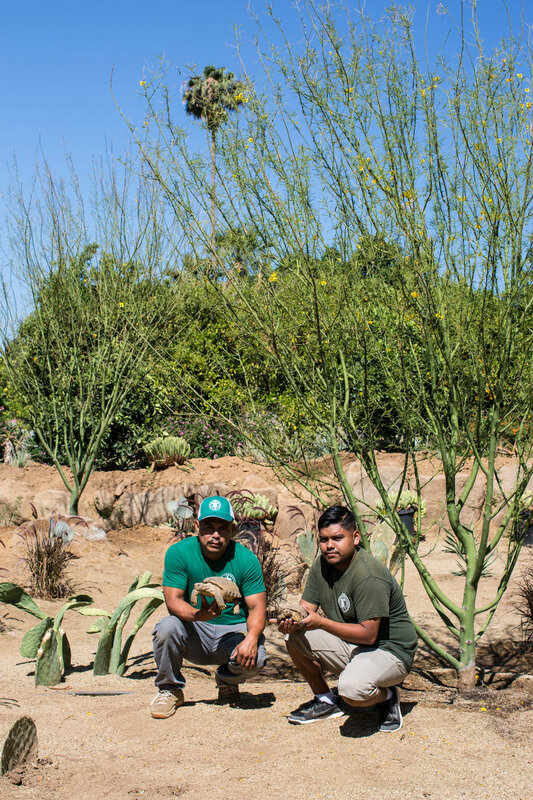 PHOTO CAPTION: Armando Jimenez and Angel Reyes with two young Bolson Tortoises. 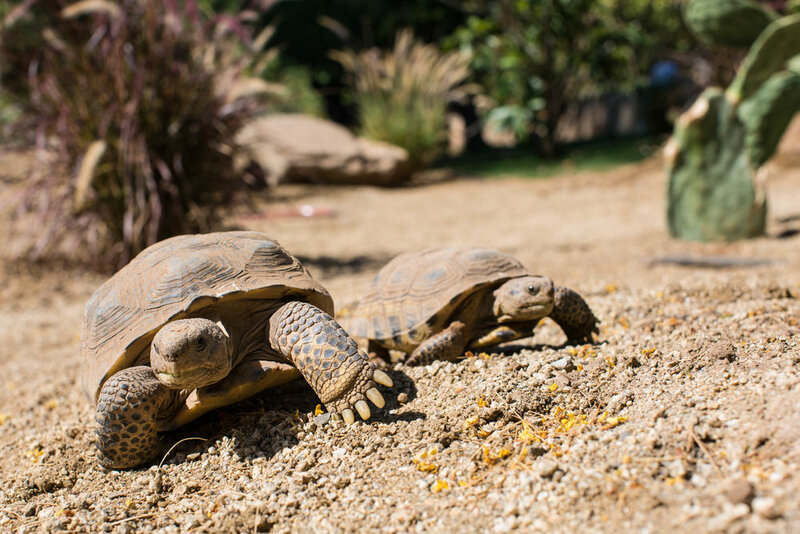 The latest guests to check in to our Southern California Conservation Center, three young Bolson Tortoises (Gopherus flavomarginatus), are adjusting to life inside of their expansive, new environment. 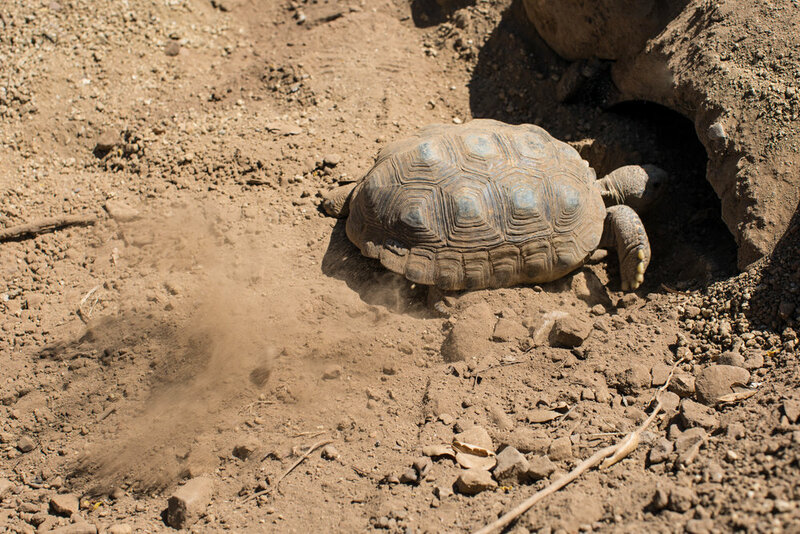 These tortoises came to the Turtle Conservancy last month from a robust assurance colony at Ted Turner's Armendaris Ranch in New Mexico. 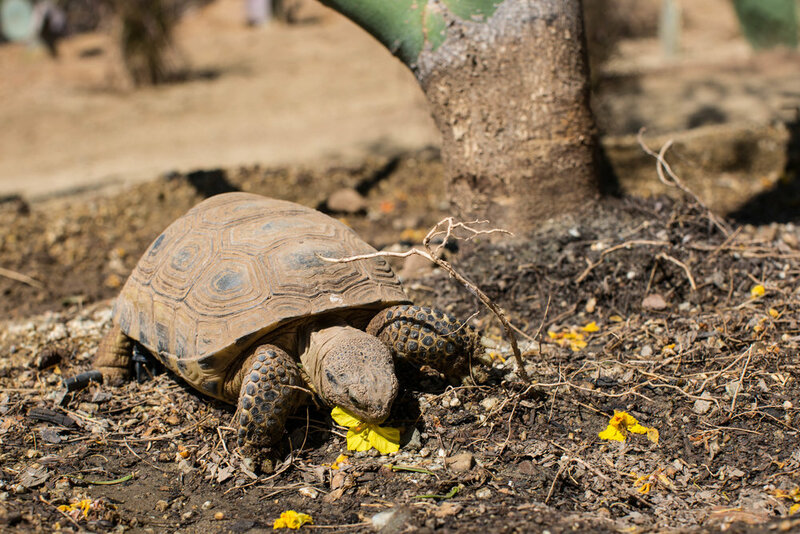 The Turtle Conservancy and Turner Endangered Species Fund are collaborating on a trans-national effort to protect this tortoise from extinction, which will include reintroducing the species in key locations of its former range in the United States. First Soft Release and New Assurance Colony for the Bolson Tortoise!